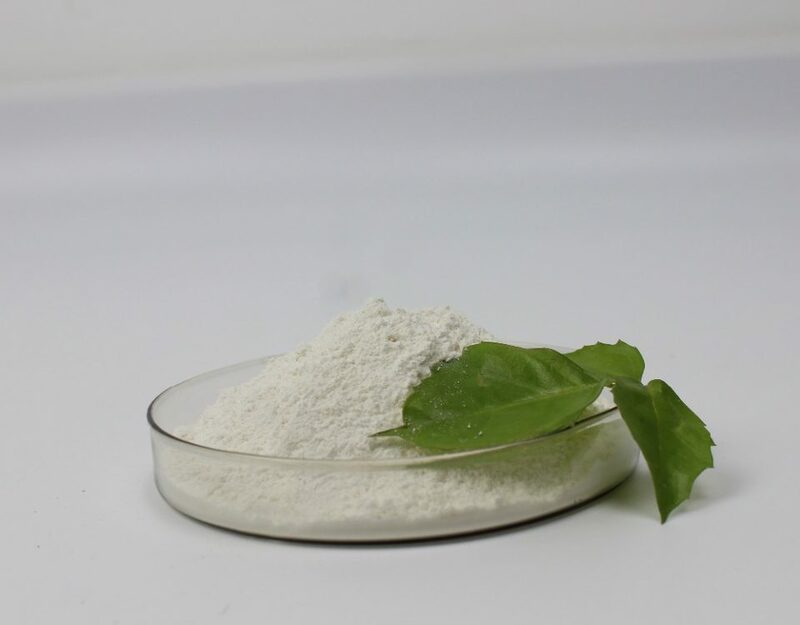 Allicin can improve the growth and development of pigs, improve the growth environment of pigs, improve the disease resistance of pigs, and increase daily weight gain and feed utilization. Huang Ruihua et al (2002) added 25% allicin 200g / t to the diet of weaned piglets. The results showed that the experimental group gained 16.5% daily weight compared with the control group (P < 0.05). Add garlic to the chicken feed to increase appetite and improve performance. Yuan Zhizhu and so on. (1998) reported that the addition of allicin (25%) to broilers significantly increased the daily gain of broilers and increased the survival rate by more than 3%. Zheng Cheng et al. (1998) reported that the addition of allicin to broiler feed increased the average weight gain of broilers by 8.7% and the consumption by 5%. Jia Weibin et al (1997) used 10% synthetic allicin and iodinated modified allicin to mix chicken feed at 60 mg / kg, increasing daily gain by 7.54% and 11.31%, respectively, and increasing the survival rate by 1.2%. 2.4%. He Guorui and so on. (1997) showed that the addition of allicin to broiler feed at 1 to 35 days of age resulted in an increase in daily gain and feed recovery, and a decrease in the ratio of feed to meat. Bai Song et al. (1997) showed that the addition of allicin to laying hens increased the egg production rate by 5.3% and the egg-to-egg ratio by 6.93%. Huang Yude (1996) added allicin to laying hens and found that the egg production increased by 11.36% and the egg production rate decreased by 6.91%. The study believes that the use of allicin, organic strontium and selenium to form feed hens additives can increase egg production rate and prolong the peak of egg production. Liu Zongzheng (1999) used garlic to add 0~42 days old meat duck feed. The results showed that the absolute weight gain of meat duck increased by 4.36~8.29%, and the feed consumption decreased by 1.69%~5.93%. Adding allicin to the feed can improve the body’s resistance to disease and enhance immunity. It can be used to control many poultry diseases such as chicken white pheasants, poultry cholera and chicken mites. 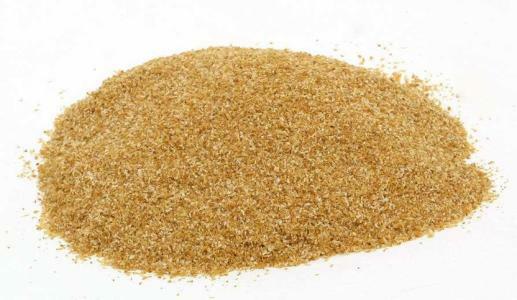 Adding allicin to aquatic feed can increase the appetite of aquatic animals, increase feed intake and gain, improve meat quality, reduce disease occurrence, and increase survival rate. Jia Weibin et al (1997, 1999) added 100 mg / kg allicin to the squid bait to increase body weight by 13.3%, and feed compensation and economic benefits increased by 5.5% and 15% to 25%, respectively. Fu Tongyu and so on. (1990) found that allicin has a strong appeal to improve the feeding rate of grass carp, squid and squid. Zeng Hong et al. (1996) and Hu Shijie (1999) added allicin to tilapia bait. Experiments have shown that tilapia gain weight and increase survival. Hu Shiliang et al. (2000) added 50,100,150 mg / kg allicin to the bullfrog feed and fed a bullfrog of about 100 g in size. After 30 days of testing, the results showed that the survival rate and weight gain rate of the experimental group were better than the control group. group. The weight gain rate of the experimental group was 15.2% higher than that of the control group. The weight gain rate of 100 mg / kg allicin in the experimental group was 19.5% higher than that in the control group, and the feed coefficient was 20.6% lower than that in the control group. Studies have shown that long-term feeding of allicin can improve the quality of aquatic animal meat, make the fish fine, the proportion of fish oil is reduced, and the meat tastes delicious. 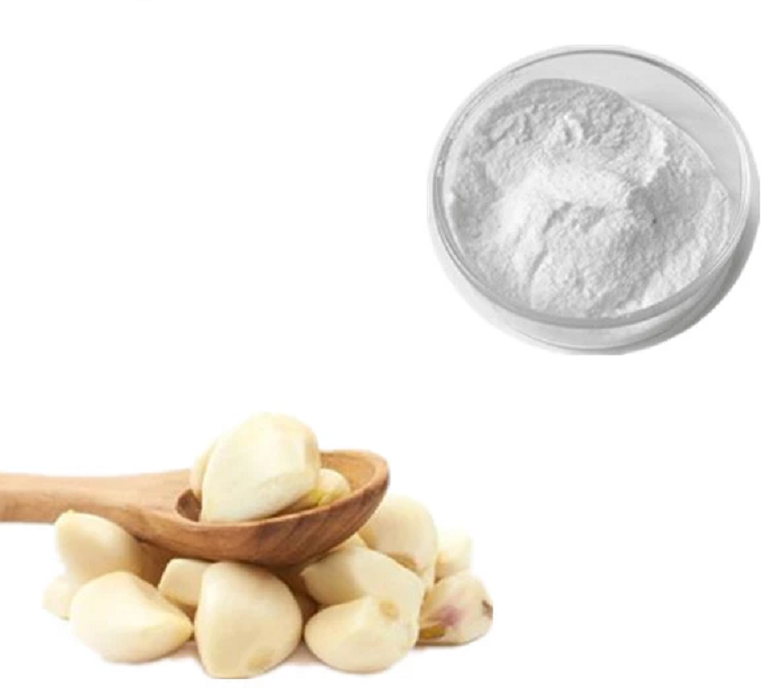 Allicin can prevent aquatic diseases caused by enteritis, cholera, typhoid bacillus, staphylococcus, streptococcus, mold, etc., such as enteritis, rotten sputum, red skin, bleeding and other diseases, improve survival rate. Adding allicin to the feed can increase the weight gain of the meat herbivores and increase feed utilization. Dairy cows can increase milk production and milk fat percentage, prevent and treat various diseases, and increase survival rate. 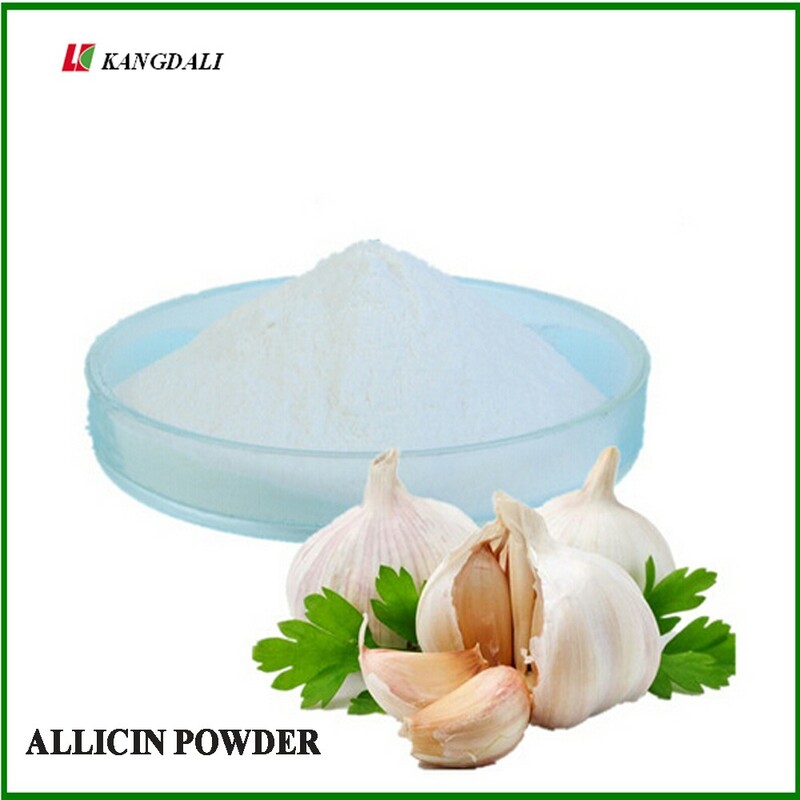 Allicin can be used to treat cattle cold, rumen, sheep dysentery, horse abdominal pain, rabbit coccidiosis, gastroenteritis, dysentery, colds and other diseases. 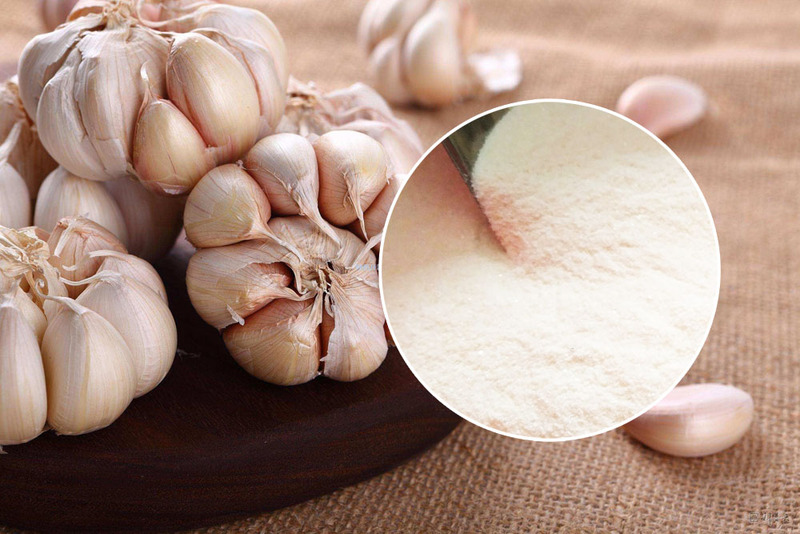 Allicin powder applied in feed additive field, Garlic powder is mainly used in feed additive for developing the poultry, livestock and fishes against the disease and promoting growth and improving the flavor of egg and meat. The product shows a non-drug resistant, non-residual feature and no withholding period. 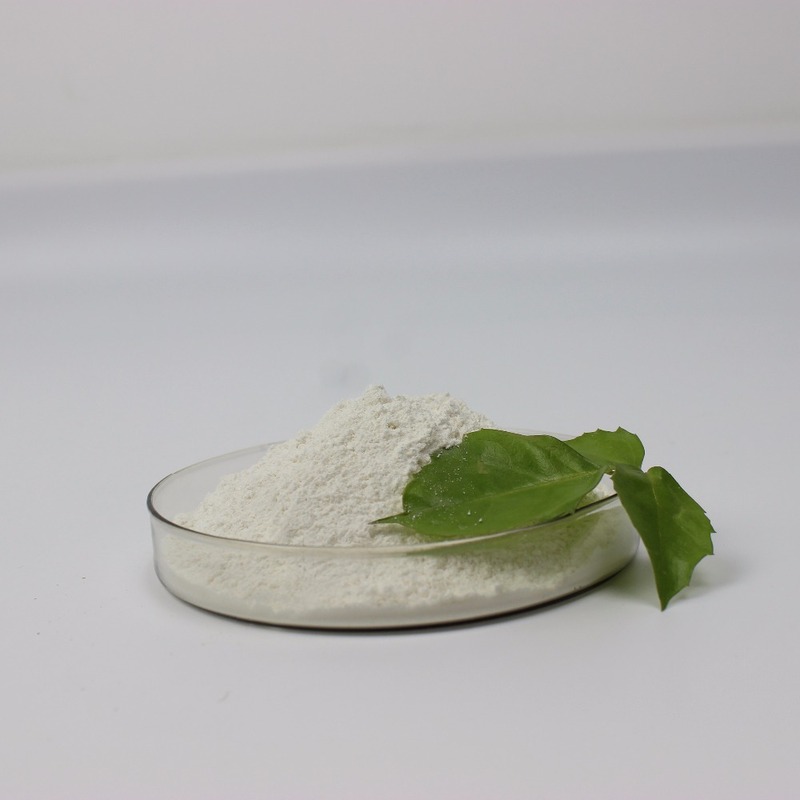 It belongs to a kind of non-antibiotic feed additive, so it can be instead of antibiotics to be used in compound feed at all times. Stimulating animal’s appetite. 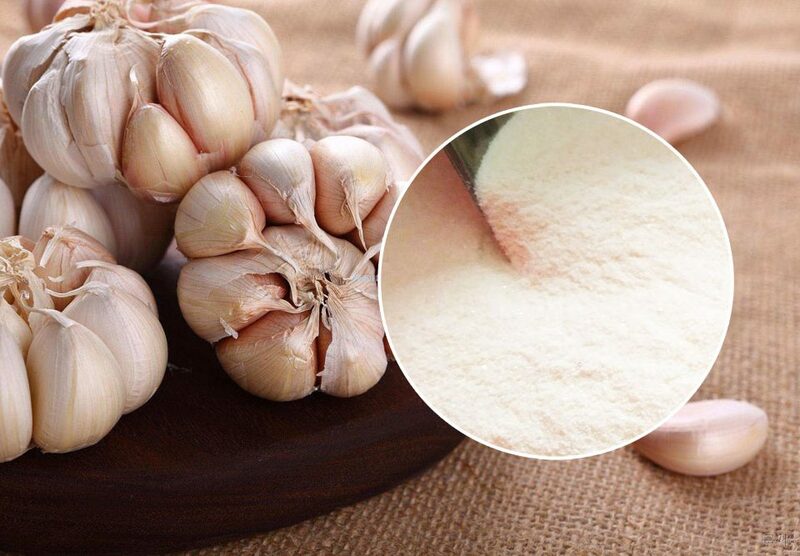 The fragrant of garlic stimulates animal’s appetite. The secretion of gastric juice and vermiculation of stomach and intestine can be improved. Thus accelerate the growth of the animal and heighten the feed reward. Detoxicate and keep healthy. It may lower the poisonous substance as mercury, cyanide and nitrite. The animal will be healthier with bright shiny fur and diseaseresistance enhanced, survival rate increased, after feeding for some time. Resisting moulds and insects. Various moulds can be wiped out and fly and maggot killed efficiently. Sanitary environment be kept and feed material kept longer. Improved the quality of meat, milk and eggs obviously. These products taste more delicious. Specially good effect for festered gill, reddish skin, bleed and enteritis caused by various infection. Reducing cholesterol. It can reduce the activity of 7a-cholesterol hydroxyls, thus lower the cholesterol content within serum, yolk and liver. It is a refill of antibiotic as well as the best additive for producing nuisance free fodder.